Have you been considering off the grid living? Maybe you just want to reduce your dependence on local utilities? Off the grid living is possible in just about every climate and with some careful planning, can be more rewarding than a hindrance. I am often asked at LandCentral, “The property I’m interested in is fairly remote, how am I supposed to survive out there if it’s not on a city water system or there are no power lines nearby?” When thinking about off the grid living, the primary concerns that need to be addressed are water, power and waste. I’ll address each of these topics over a series of articles and provide some useful tools to help you plan for an off the grid lifestyle. All of these categories have different approaches that can be used each with varying levels of daily impact or resource efficiency. Water is the lifeblood of our existence. If we don’t have it, it’s only a matter of time before things get dangerous. For this reason, water needs to be an area you spend plenty of time figuring how best to supply your home. There are really only two places water can be obtained, the ground or the sky, each having their advantages and disadvantages. Pulling water from the ground is the most common way for a home to get water and getting water in this manner will have minimal impact on your lifestyle as millions of people already live off this type of water supply. In fact, many prefer well water as it is free from added chemicals such as Chlorine and Fluoride that are now commonplace in many municipal water systems. 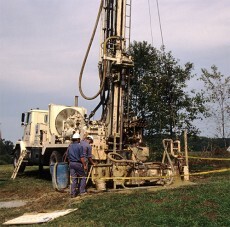 In most cases getting a well setup requires a licensed well driller to come out with a large drilling machine used to drill down until they strike a suitable water source. Once the well is in, water quality tests are done and if suitable, the well is plumbed to your house via an electric pump. Only in extreme drought conditions do water conservation efforts need to be implemented. This method of water supply can be costly though, as wells can run anywhere from $3,000 to $15,000 (they charge per foot of drilling) to get installed depending how far down the well driller has to go and it’s a big unknown on how much it’ll cost until they actually hit water. Experienced dowsers can sometimes locate a suitable below ground water source on your property however they really can’t determine how deep the water is. Rainwater is the easiest, least expensive (in terms of collection equipment) and least energy consuming source of usable water. However if you plan to live off rainwater alone, it will require designing your home and plumbing system in a very specific way to maximize its use. For example, it is possible to use “grey water” that goes down the drain from washing dishes and taking showers to water your plants which if kept in troughed flower beds can semi-filter that water, collect it and then use it to fill your toilets. “Black water” from your toilets then goes out to a proper septic system. A quick word of caution, if you are located near a major highway or other air pollution generating facility, proper pre-filtration will be needed to make the rainfall collected usable and then no matter your locale, a separate filtration system should be utilized at plumbing fixtures used for cooking and drinking to make it potable. Don’t think your area gets enough rainfall for daily living? For any of this to be possible, you need to collect the rainfall and store it. Rainfall is collected by your home’s roof, equipped with clay or metal roofing preferably, and via an inter-connected gutter system is funneled into a central tank or cistern.This above or below ground tank can be constructed with a variety of materials including concrete, steel, plastic or fiberglass with both storage locations having their respective pros and cons. 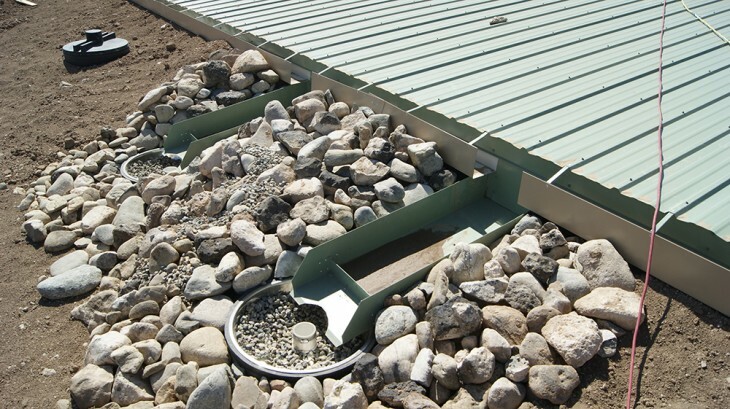 A below grade tank is the easiest location for collection purposes as the collected rainwater does not need any pump assistance getting from the gutter system into the tank no matter how big the tank is, as gravity will do the work for you. Below ground tanks also provide shelter from the harmful rays of the sun which can lead to algae growth if not properly managed with an above ground tank. In the off-chance that you have a nearby spring, water from that spring can also be plumbed into your storage tank for additional water collection. Like an above ground tank that’s not elevated, an underground tank will need a pump to get the water into the house at a usable pressure. The biggest advantage of storing your harvested rainwater above ground and elevated is that the weight of the water in the tank will create enough pressure to run plumbing within the house without the aid of a pump. Keep in mind that this pressure will be minimal unless your tank is elevated significantly higher than your plumbing fixtures, 75 feet or more to obtain usable water pressures. In this setup a pump is only needed to get the water into the elevated tank however this pump will only run while rainfall is being collected, not when water is actually being consumed. If an elevated tank is not an option due to height restrictions or you prefer a more cost-effective ground level tank, an auxiliary pressure tank and pump setup can boost the pressure to a level similar to that of a municipal system (40-60psi) however this pump will run whenever water is being consumed which can impose a big drain on your power stores. It goes without saying; an above ground tank is not a wise choice if you live in a climate with persistent freezing temperatures. For more in depth information regarding rainwater harvesting, the Texas Water Development Board published an excellent manual covering everything from collection to filtration and use. If you are even entertaining the idea of rainwater harvesting, this manual is a must-read. The latest manual can be downloaded here: The Texas Manual on Rainwater Harvesting. And it’s Hot, Hot, Hot! Once the water is collected, heating it for use in showers and in cleaning is another concern. Propane is always a possible choice and with the use of a propane-fired tankless hot water heater, is a relatively efficient choice that provides practically limitless hot water. However if you live in a sunny area, a solar hot water heater is another excellent choice with minimal reoccurring costs. In short, a large black tank(s) is situated in a reflective enclosure. 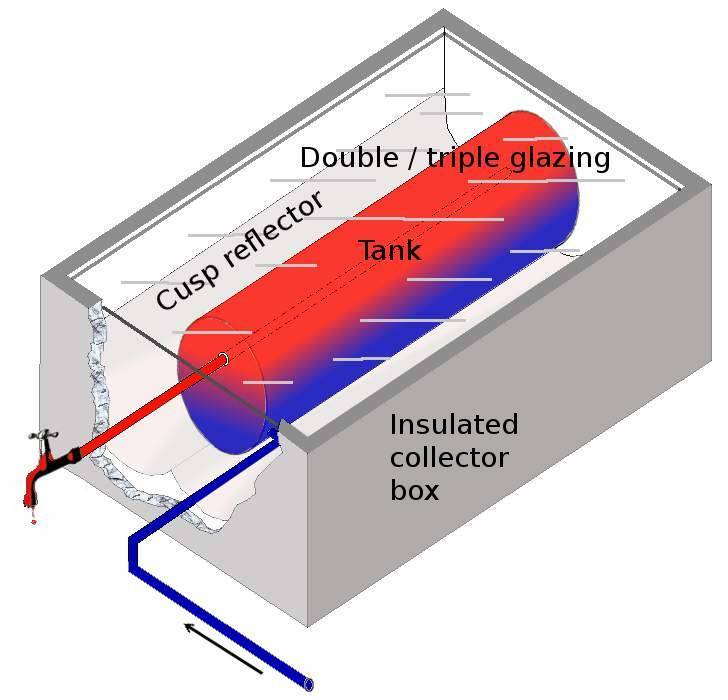 Water enters from your water storage tank and sits in the solar hot water tank where it is heated by the sun. From there the tank gets plumbed into the hot water side of your home’s plumbing system. Even if you are connected to a municipal or well water supply, this option is a great way to reduce your energy costs. There are many options in regards to solar hot water heaters, both commercially and do it yourself. Now that I’ve covered getting water to your off the grid home, getting electricity is the next big hurdle. Sorry, we have to include this: These posts are to be used for general advice purposes only. It has been prepared without taking into account your specific objectives, financial situation or needs. Before acting on this advice you should consider the appropriateness of the advice, having regard to your own objectives, financial situation and needs.